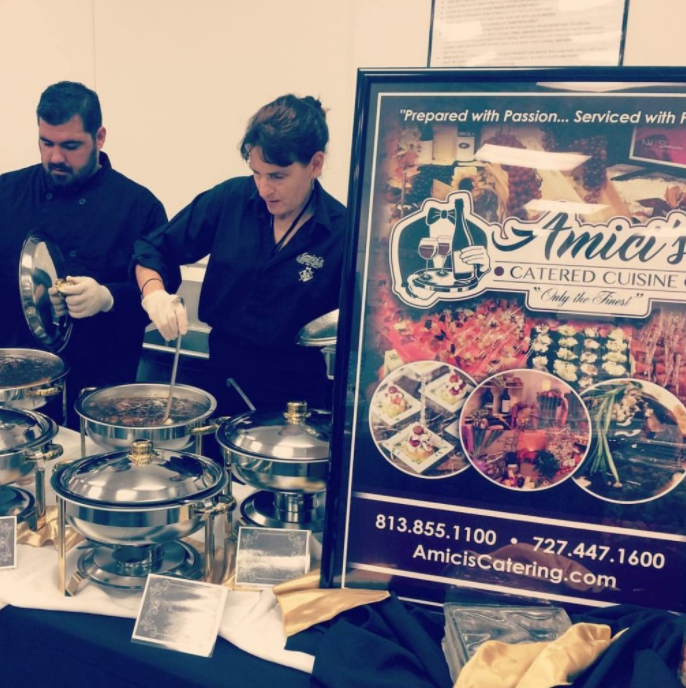 Catering Contractors | Blog â€" Tampa Bay, FL | Amici's Catered Cuisine, Inc.
Start the New Year off right by celebrating achievements and friendships with a fun NYE corporate party. 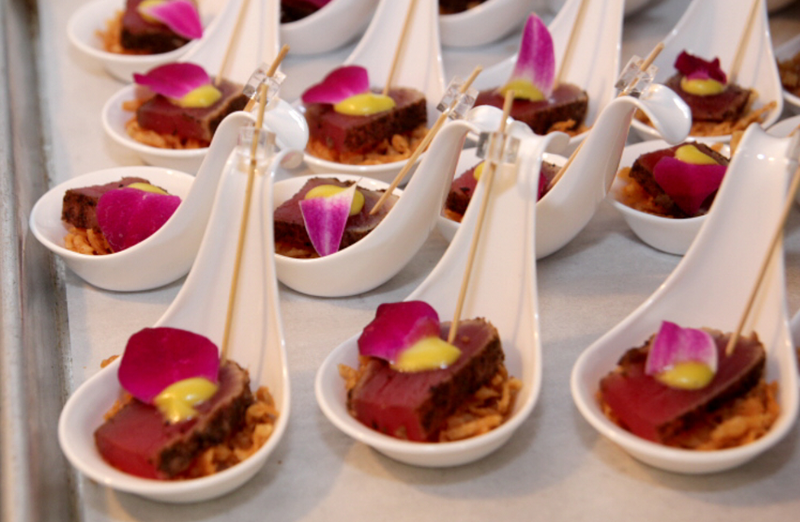 With any successful event, there must be delicious food, great drinks, and fun times. 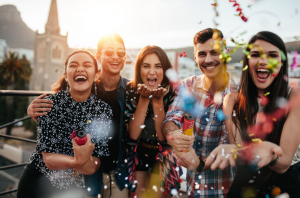 Lucky for you, Amiciâ€™s Catering has your holiday party covered with our corporate catering in Tampa and our seamless event planning.Â Check below for three fun ideas you must try for your New Yearâ€™s Eve corporate party. Toast to high spirits and good health for the New Year when you fill your NYE party with delicious cocktails and brews. Our favorite holiday cocktail is champagne sangria, and it is served with cranberry juice cocktail, apple juice, orange juice, fresh fruit, and champagne. Yum! Everyone loves a tasty midnight snack, especially on New Yearâ€™s Eve. Our company can create delicious finger foods and entrees for your guests to enjoy after the ball drops. Offer your guests loud and entertaining noisemakers for the midnight countdown. We love kazoos, clappers, and party horns. Itâ€™s also always a good idea to include lots of confetti and party hats. At Amiciâ€™s Catering, we want to wish everyone a happy New Year and a safe holiday season. Contact us today at (813) 693-5104 to learn more about celebrating the holidays with our catering team. At Amiciâ€™s Catered Cuisine, we are thankful to do what we love by serving our customers with delicious meals to enjoy with their friends and family. Thanksgiving is a special holiday for us because it combines both of the things we enjoy most, celebrating our gratefulness and food! 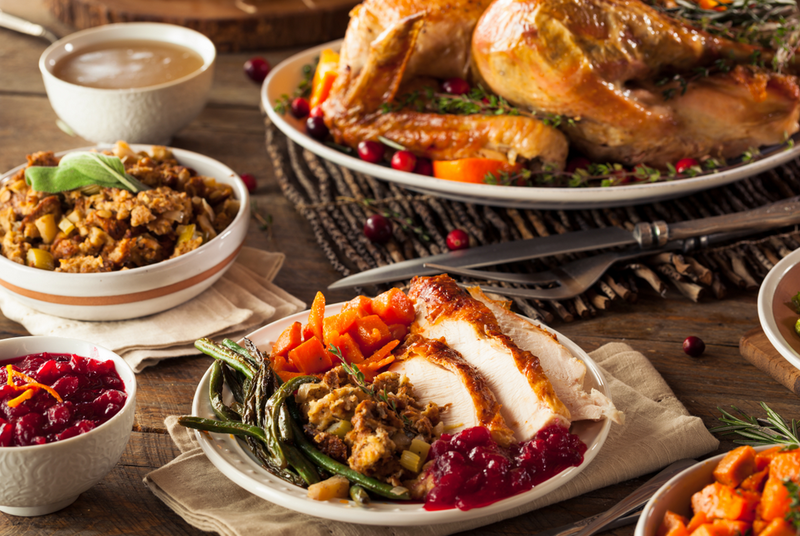 Check below to find out our fall favorites you should serve this Thanksgiving. Sweet and delicious is the only way to describe corn casserole. This side dish is sure to be a fan favorite at your dinner table. You donâ€™t have to feel guilty when you get two servings of sweet potato casserole because it is nutritious yet delicious. Ditch the canned cranberry sauce, and give your loved ones a yummy treat by making a homemade cranberry sauce with fresh berries. Caramelize your butternut squash with brown sugar for a delectable treat that your guests will love. You can never go wrong with homemade macaroni and cheese. Fresh cream and cheddar cheese is the perfect combination. 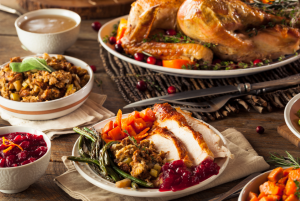 If you crave these fall favorites but would rather spend more time with your loved ones than in the kitchen, look to our holiday Tampa catering to get the job done. We would be thankful to help you celebrate in style. Contact us today at (813) 693-5104 to learn more about our catering options. 3Fall is in the air and with that comes football games, tailgates, and good ole barbeque. At Amiciâ€™s Catering, we want to help your tailgate be a fan favorite. Below we have creative ways to make your tailgate a touchdown. Everyone knows a tailgate isnâ€™t a great party unless it has delicious barbeque. Instead of worrying about cooking, leave the BBQ menu to the specialists and allow yourself to enjoy more time with your friends and family. Our skilled chefs smoke the best pork, beef, and chicken, allowing your guests to drool with excitement. Our sides are made fresh and with delicious southern ingredients. 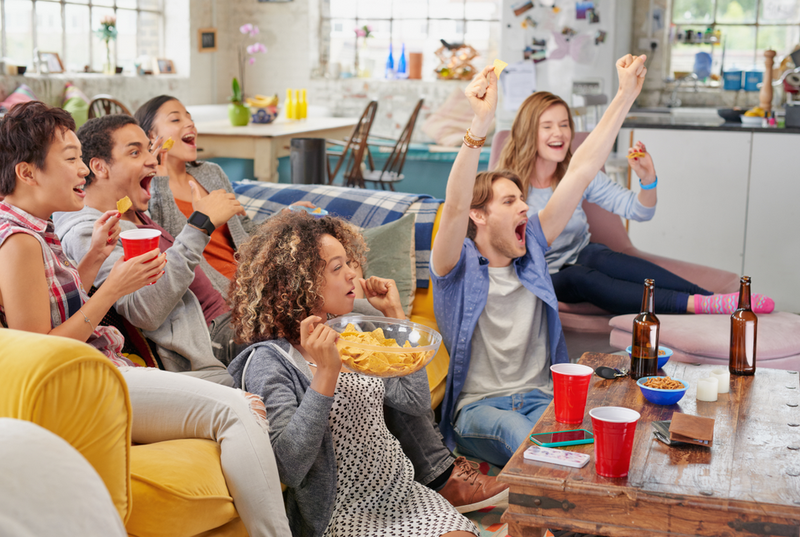 Incorporating entertainment at your tailgate is a must. We recommend curating a fun and upbeat soundtrack for your friends to dance to while they play outdoor games. Corn hole and beer pong are always a favorite when it comes to tailgate games and gets everyone involved in the fun. Like with any party, decorations are a great way to spruce up the area. 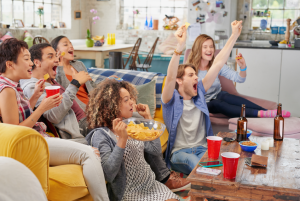 Decorating with your teamâ€™s colors and the mascot is an easy way to get your friends excited for the game. 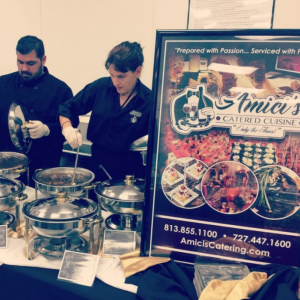 At Amiciâ€™s Catered Cuisine, we believe in the importance of satisfying your companyâ€™s need for success with our delicious corporate catering in Tampa! They say if you love what you do, you never work a day in your life, which is why we promote corporate catering services to our clients to ensure their employees have a fun time at work. Below we have three reasons why you should be incorporating catered events into your workplace on a regular basis. Demonstrating your appreciation for your employeeâ€™s is an excellent way to improve the overall work place. By showcasing your gratitude for your employeeâ€™s dedication and work for your company allows to them know their hard work is recognized. Proper recognition has shown to improve the quality of work and turnover rates in the workplace. We believe life is meant to be celebrated! When companies celebrate little accomplishments and monthly goals, it allows the annual milestones to mean even more. Our corporate catering in Tampa is the perfect way to celebrate your monthly sales goals with your team. Creating a positive yet productive culture in the workplace is vital to a successful company. Our catered events allow your team to enjoy delicious food together while bonding in the office. 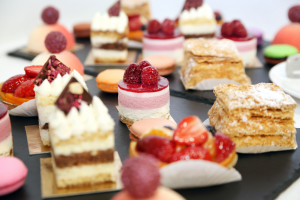 Holding a catered event at your office will allow for a better team morale and a great atmosphere. Contact us today at (813) 693-5104 to learn more about our corporate catering services and our package deals. Welcome to Amiciâ€™s Catered Cuisineâ€™s blog! We are a beloved Tampa catering company that offers exceptional customer service and cuisine options. When it comes to your special event, look to our knowledgeable staff to help you with the planning, coordinating, and catering for your event. 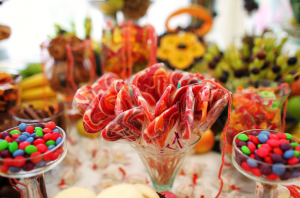 Our skilled caterers can help you with the little details, such as decorating the place settings, choosing the perfect vendors, and ensuring your event runs smoothly. We love offering our customers delicious cuisine options that will not only enhance their palate but their overall well-being! We are proud to offer a wide variety of menu items that range from hot artichoke dip to almond crusted shrimp cakes to chocolate covered strawberries. Our Tampa catering company offers many different catering packages that feature different menu items and price ranges. If you are interested in planning the party of your dreams, contact us today at (813) 693-5104 to learn more about our event vendors and catering packages.